Free Shipping Included! Save 1% on the Melissa & Doug Toy Chest - Wood Grain Children's Furniture by Melissa & Doug at Global Supplies Express. MPN: 30227. Hurry! Limited time offer. Offer valid only while supplies last. Kids will love having a handy place to store all their toys, and adults will love the classic styling and durability of this wooden toy chest! Kids will love having a handy place to store all their toys, and adults will love the classic styling and durability of this wooden toy chest! 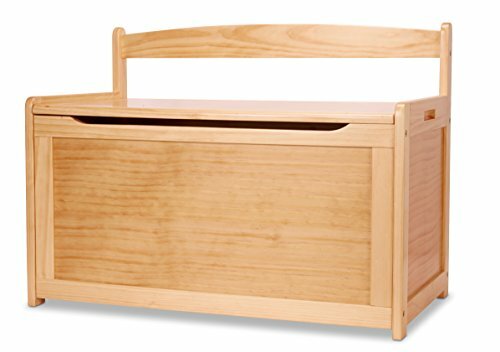 available in honey, white, and Espresso finish that’s easy to wipe clean and fits with any home décor, the toy chest features 8.25 cubic feet of storage space and a safety-hinged lid. Easy to assemble with a Philips head screwdriver, not included.